Hitachi Chemical Energy Technology Co., Ltd., a member of Hitachi Chemical Group, is a leading Valve Regulated Lead-Acid (VRLA) batteries factory/company in R&D, manufacturing and marketing. 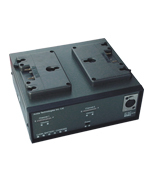 Our products are mainly applied in UPS system, communications equipment backup power and electric vehicles. 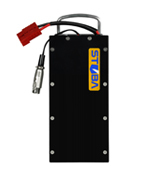 Our customers are from worldwide, and we are one of top three suppliers of small VRLA battery. With strong support from Hitachi Chemical Group, we have worldwide operation of marketing, manufacturing, and R&D, with globalization business model and localization operational flexibility. Become one of the few energy suppliers which are capable of global instant supply and global technical support. 1.To provide a calibration service for measurement instruments, equipment and standards. 2.To provide services in EMC testing, revision of product alteration to meet relevant EMC standards and certification applying. 3.To provide services in safety and revision of product alteration to meet relevant safety standards and certification applying. 4.To provide service in telecommunications testing and revision of product alteration to meet relevant telecommunications standards and certification applying. 5.To provide environment & reliability testing service for electronic products. 9.To undertake entrusted inspection and certification of electronic products as requisitioned by manufacturers, associations, institutes and domestic & foreign buyers. 10.To provide technical training service and hold seminars. To promote the development of quality control and inspection expertise within the electronics industry. 12.To provide the patent infringement analysis service for electronic products. 13.To provide the consultant of ISO 9000,ISO 14000,QS-9000, TL 9000 system for the manufacturers. Manufacturing and supply of rechargeable batteries for automobiles and motorcycles as well as small sealed batteries. Manufacturing and supply of rechargeable batteries for electric vehicles and industrial applications. 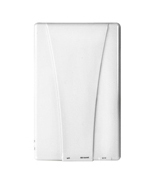 Import and supply of photovoltaic converters and various other power supply devices. 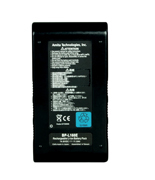 • Manufacturing and supply of rechargeable batteries for automobiles and motorcycles as well as small sealed batteries. • Manufacturing and supply of rechargeable batteries for electric vehicles and industrial applications. • Import and supply of photovoltaic converters and various other power supply devices. 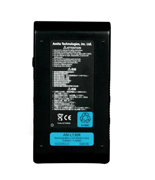 Design, manufacture, assembly and supply of lead-acid rechargeable batteries. TY Dynamic CO., LTD. was belong to TAIWAN YUASA Battery Group. 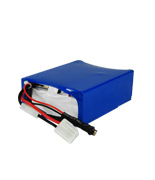 Product series: LiFePO4 batteries& Lithium series, for EV car& motorcycle , Boat, UPS, Energy Storage System, Power energy pack. Power Supply, UPS (Uninterruptible Power Supply), Medical Products, Medical Electrical Equipments, Laser, Home Appliance Products, Lightings, etc. 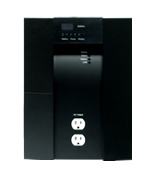 Think power technology is mainly developing 3C battery pack, testing and producing equipment of power battery products. Our products can be applied to NB, Ultra book, Tablet, IPod series, Smartphone, etc. Think power depends on our professional experience of Power Electronics and Communication, we develop testing equipment related to dynamic battery, including Power Bank, Energy Storage System, On-board Battery Pack, etc. Other Electrical Vehicles (eScooter, eMotorcycle, eBike, eWheelchair) Design and Development. Shih Hua technology was established in 2010. Shih Hua is dedicated to new energy industry，developing high-performance conductive paste products for Li ion battery，such as carbon nanotube (CNTs)，which is the potential additives for composite material，conductive thin film，and field emission materials，etc. In the future,Shih Hua technology will focus on the development of carbon nano materials，and strives to be leader in technological innovation of the CNTs and new applications. 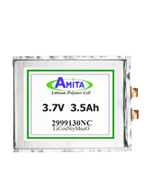 High-energy density pouch cell, lithium ion battery for EV and EES, cathode material. Silicon anode material & Cell design suggestion.